We believe a brand shouldn't be limited to a screen or a business card. That's why we focus on creative activations that get your audience engaged in-person. Here are some ways we've brought brands, messages, and ideas to life through experience design. 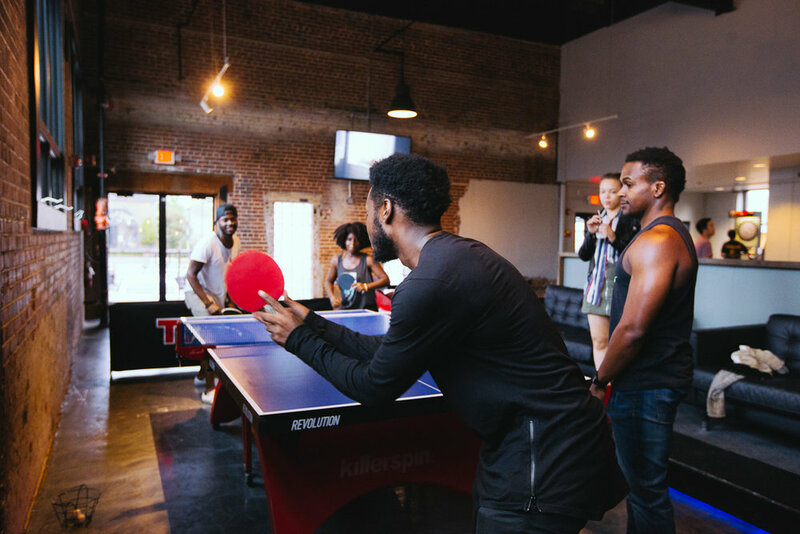 Co-founded in 2013 by Baby Grand Principal, Dan Price, Undercurrent has grown into the largest networking series in Memphis. 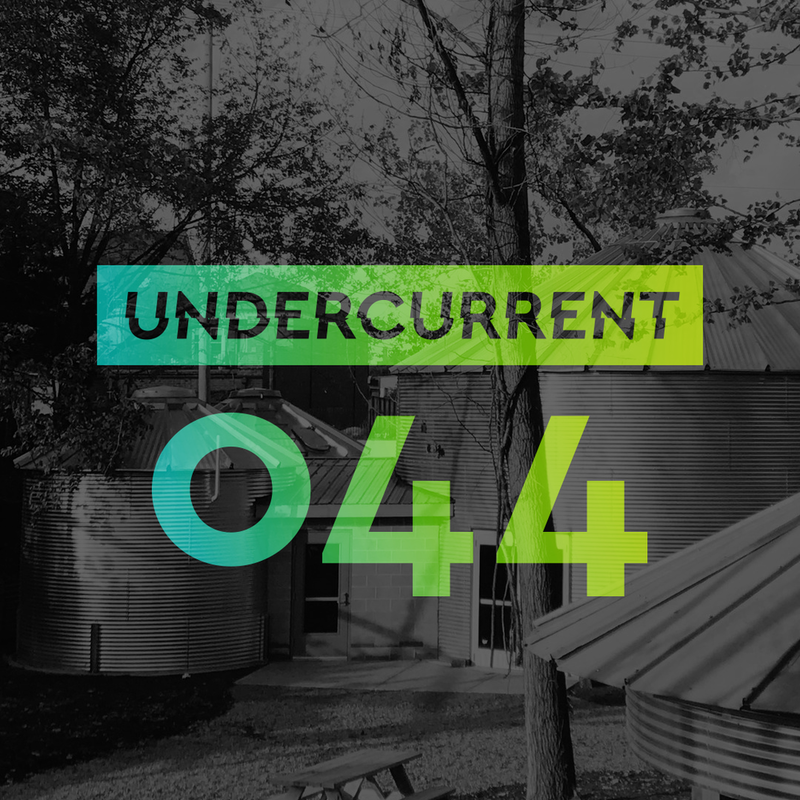 The premise of Undercurrent is simple: To connect Memphians to the most interesting people and places in the city. This clear concept draws an average of 250 people every month. 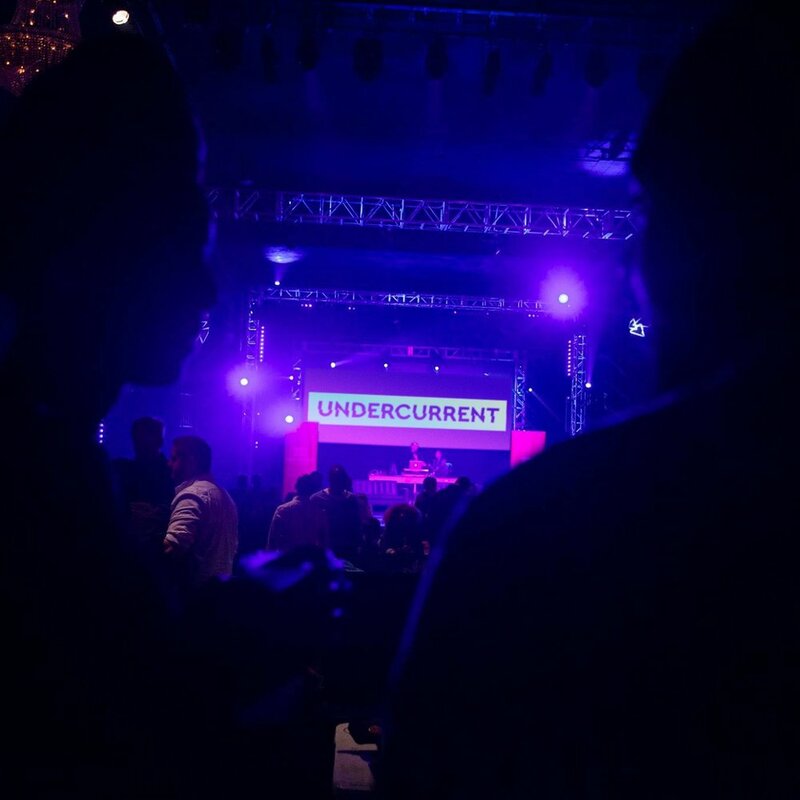 From the beginning, Undercurrent has been a word-of-mouth event, driven by social media. While the name is a nod to the powerful Mississippi River, it also communicates the idea that some of the strongest forces — natural or cultural — are often beneath the surface. This slight air of mystery keeps newcomers curious and regulars loyal. The logo and color usage mirror this feeling. A simple wordmark with a slight glitch evokes both water and the electricity of the event. The mark is designed to pop in social media feeds while being easy to lock up with text (like event details) and lay over images (like location photos). Sometimes, an experience is powerful because of what’s not there. Undercurrent is kept not only low-barrier (the events are free), but also low-agenda. There are no announcements, nametags, or instructions. This intentional flexibility creates a comfortable environment for people to make the event their own. The scheduling of the event is also intentional: Every Undercurrent is at 8pm on a Monday night. Why? Because it keeps the audience young, engaged, and ready to have a conversation. Undercurrent events draw 250 people to a new location every single month. Sponsors of the event keep coming back because of the precise demographic (racially diverse, 21-34 year old urban professionals), and 30% email open rates, where their brand is represented. The audience is still growing, even as we approach the five-year anniversary of the event in July of 2018. Creative Works is a Memphis non-profit focused on growing the city’s creative community. While running multiple local programs through the year, the organization’s keystone event is the Creative Works Conference, which has national visibility and draws hundreds creatives to Memphis from around the country for three days of inspiration and connection. The brand redesign was based on the original Creative Works logo, which was complex yet lightweight. We simplified the mark while making it more pronounced, so it could stand alone as a social icon just as well as on-stage signage. For the logo design itself, we landed on intertwining the C and W in a way that was unique enough to stand up to the scrutiny of the design community on national and global scale. Designers, like the ones who come to Creative Works Conference, notice details. So from music selection and wayfinding placement to scheduling and after party planning, we ensured every attendee interaction was intentional. We also assisted with speaker and vendor recommendations, swag bags, name tag layout and content, social media, and email promotion. With nearly 500 attendees, the 2017 Creative Works Conference was the largest in the event’s history. It generated a 95% revenue increase over the previous year, and also saw an increase in social media traffic and reach. Success of this event has the organization looking to double the size of the conference by 2020. Every U.S. city has the ADDY Awards, but Memphis’ are always a certain kind of party. Interns and CEOs both drink too much, and agency employees feel equal amounts of disbelief and envy, depending on who wins what. Each year, the award show is themed by a different local agency. In 2016, the Baby Grand partners took it on. It was early 2016, and the election was already shaping up to be a bad joke. Since the winners and losers at the ADDYs are decided by a few high-powered individuals, we decided to brand the event Decision 2016, with the tagline “Because somebody has to win.” The two invented candidates, Paige Turner and Ricky F. Pickler, both ran campaigns that included websites, video, social media, and even yard signs placed in and around agency offices throughout the city. 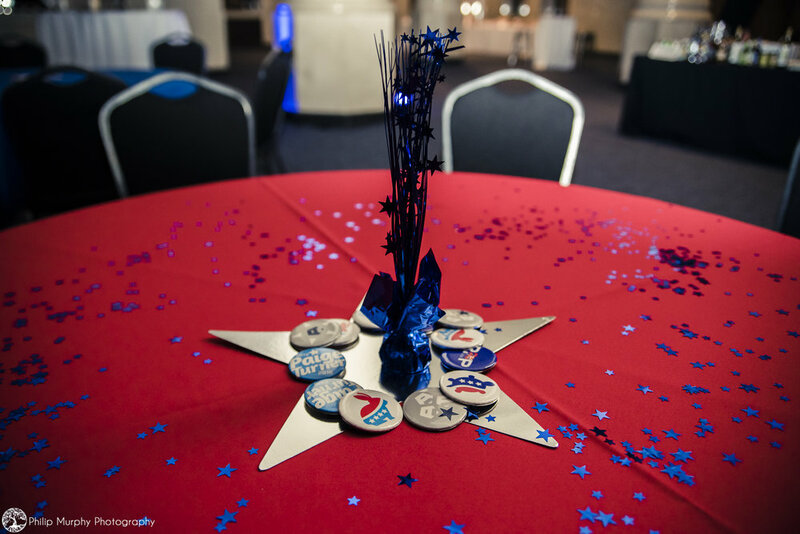 To really bring the promotional campaign to life, Ricky and Paige held a live debate from the stage the night of the event, complete with podiums and oversized banners of the candidates. The lively discussion was followed by a “newscast” with an anchor serving as the award show host. Leaving no detail overlooked, we even hand-made every Best Of award in our garages, all 20 of them cut from solid cedar. The 2016 ADDYs had the highest number of submissions and highest number of attendees since 2011, and served as the organization’s most significant source of revenue for the year. And, In an unprompted display of user engagement, some attendees made and distributed their own “Make Advertising Great Again” hats at the event. The campaign even took own a few awards of its own in the following year’s ADDY Awards.